Theresa May will ask EU leaders for a Brexit extension, but for how long? 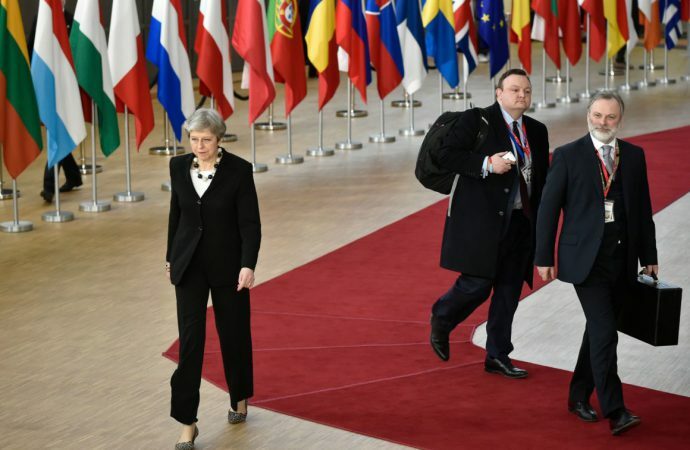 As EU leaders convene for the European Council in Brussels today, they can expect to receive a request to extend Brexit by at least three months. Despite suffering two major parliamentary defeats over her unpopular Brexit deal, Ms May had been ready to submit the deal to a third vote but was blocked on parliamentary procedure grounds. She is still committed to putting it to a third ‘meaningful vote’ next week, but EU leaders could withhold an extension past March 29 until she secures its passage, risking a chaotic no-deal exit. EU leaders have so far refused to make further concessions on the current deal or offer an extension just to give the UK more time. The EU is also likely to oppose a long-term delay unless the UK was to change its position towards a ‘soft’ Brexit. A three-month extension is therefore expected and would provide May with a few additional weeks to implement her plan if it passes to avoid a no-deal scenario. However, May could still use the threat of a long-term delay request to pressure Eurosceptic MP’s to finally back the deal in a third vote next week. UPDATE: Theresa May has reportedly accepted a plan that would delay of Brexit to May 22 if the UK parliament accepts her deal. If parliament does not accept the deal, the EU will offer a shorter delay until April 12. British lawmakers can then decide whether to seek a longer delay and vote in the European elections.